I’ve read a lot of books. 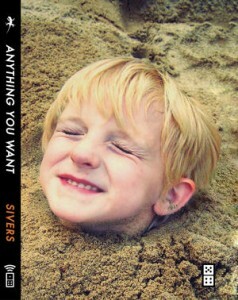 But I’ve perhaps never been personally impacted as much as I was reading Derek Sivers‘ new book Anything You Want . Part of Seth Godin’s Domino Project that’s rewiring the publishing industry from the inside-out, Anything You Want is a concise (one hour read) and motivational account of Derek’s experiences founding, growing, and selling CDbaby.com, the pioneering indie music e-commerce site. I like this book so much, I bought some to give away to readers of this post. See below for details. There are lots of books, and speakers, and training classes and such that espouse a philosophy of “if you love what you do, you’ll never work a day in your life.” Derek Sivers lives that principle 1000%. From his new home in Singapore, Derek sat down for a Skype interview about his career, the book, and making decisions through a happiness prism. I’ve done a lot of interviews (including the ground-breaking Twitter20 series), but this is my favorite one. It’s a little longer, but I sincerely hope you’ll spend the time to watch it. If you sometimes find yourself wondering “is this it?” watching this interview and reading Anything You Want will hit you like a ton of bricks. We all have to worry less about what we have and how we’re perceived, and worry more about making our customers – and ourselves – happy. Thanks Derek for the reminder. For less than $10, Anything You Want is the cheapest life coach in history. I believe in this book so much that I bought copies to give away here at Convince & Convert. In the comments (or on the Facebook page), tell me what about your business or company makes you happiest. The answers that are most interesting, creative, and true will win a book. I’m an ambassador for Candidio. They take your raw Flip video (or similar) and polish it up. I use them for all my videos here at Convince & Convert. They do a great job, are very reasonably priced, and are a joy to work with – no attitude. Tell them I sent you.